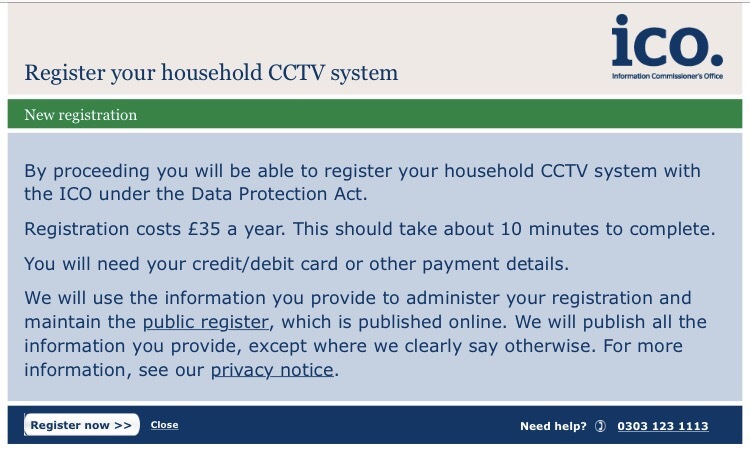 The Information Commissioner thinks that countless households operating CCTV systems need to register this, and pay a £35 fee for doing so. If they don’t, they might be committing a crime. The Commissioner is probably mostly correct, but it’s a bit more complex than that, for reasons I’ll explain in this post. As some commentators pointed out at the time, the effect of this ruling was potentially to place not just users of domestic CCTV systems under the ambit of data protection law, but also, say, car drivers using dashcams, cyclists using helmetcams, and many other people using image recording devices in public for anything but their own domestic purposes. 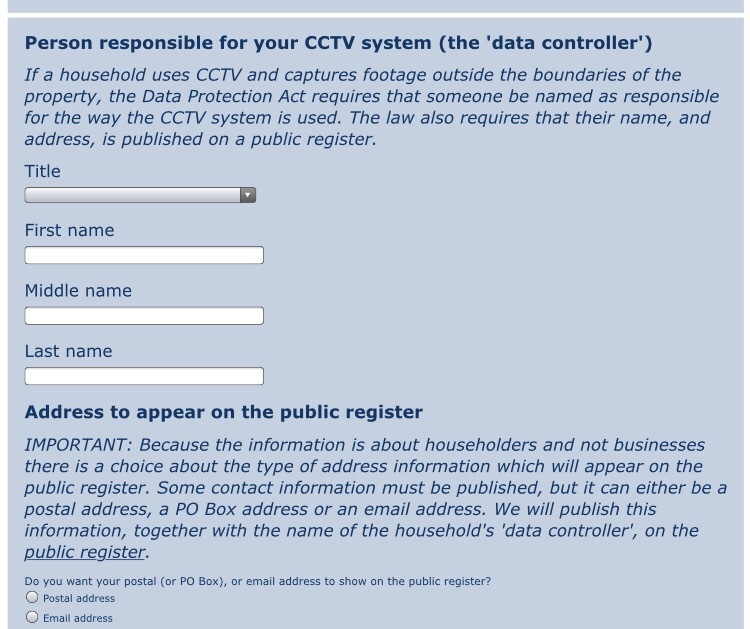 Under the directive, and the UK Data Protection Act 1998, any data controller processing personal data without an exemption (such as the one for purely personal or household activity) must register the fact with the relevant supervisory authority, which in the UK is the Information Commissioner’s Office (ICO). Failure to register in circumstances under which a data controller should register is a criminal offence punishable by a fine. There is a two-tier fee for making an entry in the ICO’s register, set at £35 for most data controllers, and £500 for larger ones. 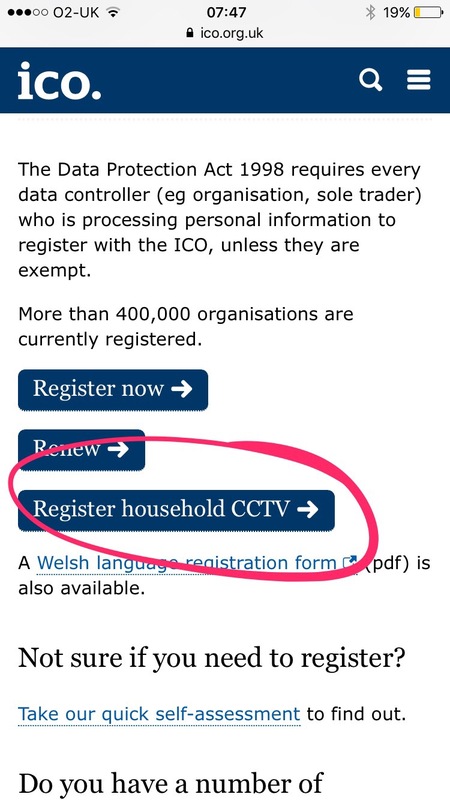 What this all means is that it is the ICO’s apparent view that if you use CCTV in your household and capture footage outside the boundaries of your property, you are required to register this fact publicly with them, and pay a £35 fee. The clear implication, in fact the clear corollary, is that failure to do so is a criminal offence. What I find particularly surprising about all this is that, although fundamentally it is correct as a matter of law (following the Ryneš decision by the CJEU), I have seen no publicity from the ICO about this pretty enormous policy change. Imagine how many households potentially *should* register, and how many won’t? 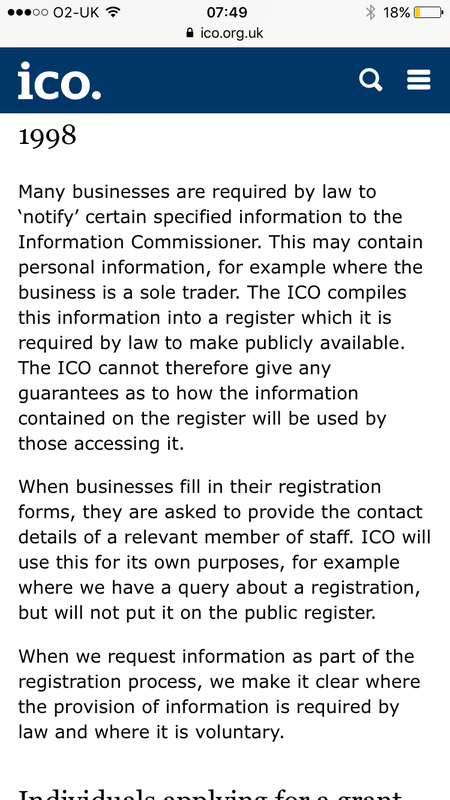 And, therefore, how many the ICO is implying are committing a criminal offence? And one thing that is really puzzling me is why this change, now? The CJEU ruling was thirty months ago, and in another eleven months, European data protection law will change, removing – in the UK also – the requirement to register in these circumstances. If it was so important for the ICO to effect these changes before then, why keep it quiet? You can almost run the same argument about Lindqvist which means that anyone posting photos publicly on Facebook is likely to be not purely personal. Such Facebook users should register also with the ICO and stump up £35 (in theory). Agree on the Lindqvist point, and I previously blogged about the fact that ICO correctly agreed with me that most bloggers – like me – should notify, although I haven’t! But if ICO really are doing this to boost revenue, why are they not advertising it? As an individual who has had a burglary in the past few weeks, I rang the local constabulary who let me know that because of budget restraints they would only come and investigate if the burglars had potentially left any ‘prints’ or had left anything behind belonging to them. They further said that if I had good home CCTV images they would be interested in seeing them. I stated that I had no CCTV and asked if this was a common with homeowners and the answer was that very many people now have CCTV. I fully agree with your point about where CCTV monitors public places the DC should register but judging from my experience, the police are encouraging its use. Has there been any clarification as to whether dashboard camera users have to register? For me, that is far more intrusive than a stationary camera. Would the public register include the Reg Plate of the vehicle? Hi Dan – not that I’m aware of. I’ve pinged ICO the question and will update when/if I get an answer. I suspect the reason the ICO is introducing this now is because of the replacement charging regime brought in via amends to the DPA in the Digital Economy Act (which presumably will reappear in the Data Protection Bill). Notification may be ending but charging is not. So why are they not publicising it?